NIH scientists find most potent, wide-reaching HIV antibody so-far known. Researchers at the National Institutes of Health have isolated an antibody from an HIV-positive patient that is capable of neutralizing 98 percent of HIV strains. It's a success rate that makes it easily the most potent, wide-reaching HIV antibody and one that may have profound implications for the treatment and prevention of the disease. The group's work is published in the current issue of the journal Immunity. Antibodies are great would-be weapons against HIV. 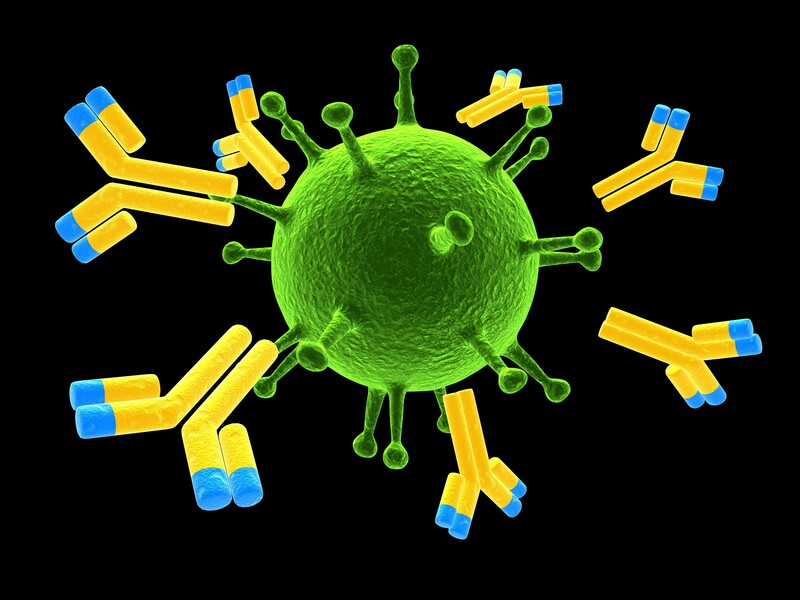 An antibody is, generally, a protein produced by the immune system that tries to neutralize pathogens like viruses and bacteria. It works by binding chemically to the invader, which it may "tag" for further attack by the immune system or it may block off one of the pathogen's mechanisms—picture quasi-biological molecular "spikes"—for invading a friendly cell. The latter trick is crucial for fighting viruses. That's the whole existence of a virus—binding to a healthy cell and then taking it over by injecting in some new genetic material. If an antibody is attached to a binding site used by a virus to hijack a human cell, then the virus is rendered impotent. It's a great defense, in theory. In reality, there are a lot of different HIV strains and a lot of different sites to bind to. The virus is always changing and evolving. Some patients, however, wind up producing broadly-neutralizing antibodies, which are able to hit a large number of strains. As such, they can potentially do real damage against a wholesale HIV infection made up of diverse and mutating viral strains. The prior "record" for HIV neutralization was 90 percent. That came courtesy of an antibody known as VRC01, which is currently be assessed for clinical applications. The new antibody, known as N6, is so effective because of its targeting of a region (known as V5) found on the HIV viruses exterior envelope that is very often conserved across the pathogen's evolution—it remains constant, relatively. N6 has a couple of other advantages. One, it's particularly effective against HIV strains that have become resistant to antibodies in the same antibody class. Two (but very related to the above), it's structurally built to evade a common defensive mechanism wielded by the HIV virus called a steric clash. To be clear, we're not really talking cures here. The most immediate application would be in vaccine development, but it will likely have implications for treatment as well. In any case, N6 faces years of further testing. For perspective, the aforementioned VRC01 was discovered all the way back in 2010 and it's still in clinical trials.